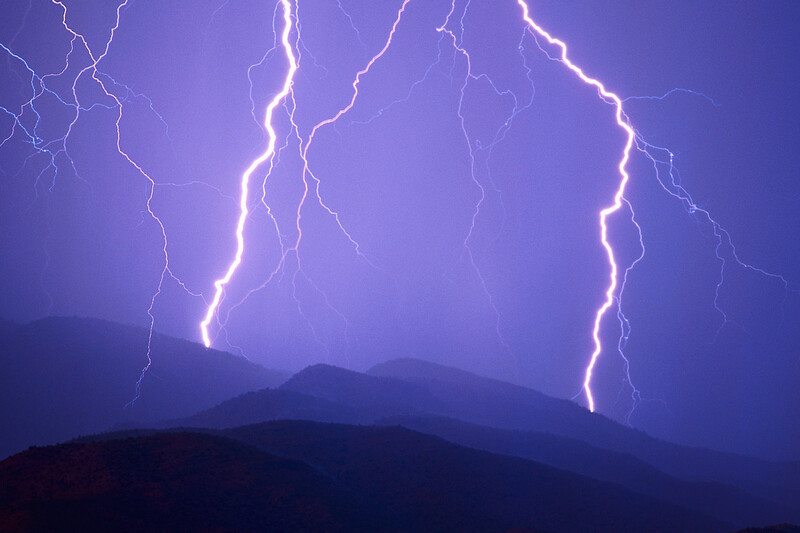 Lightning can be a common occurrence during trail running. I have been a victim of being on a single track trail at the peak of a mountain when all of a sudden a lightning storm swept in. Their was very little to do to protect myself since there was no shelter nearby other than the option to run from the the peak of the mountain, back into the woods among multiple tall trees. Choosing between an open field on top of the mountain or into the woods… the woods seemed to be more appropriate. Luckily, no strike nearby and the storm passed. Another time while with a friend scuba diving on an small island approximately 1 mile from shore a storm quickly moved in. We were alone and decided to exit the water, drop our tanks and go inland (under trees instead of the “open field -like” shoreline) separate away from each other by 50+ feet in anticipating a lightening strike in order to decrease the chance that we both would be hit; leaving one person uninjured to either seek help or provide resuscitation. Luckily the storm passed as quickly as it arrived and we continued with our adventure. 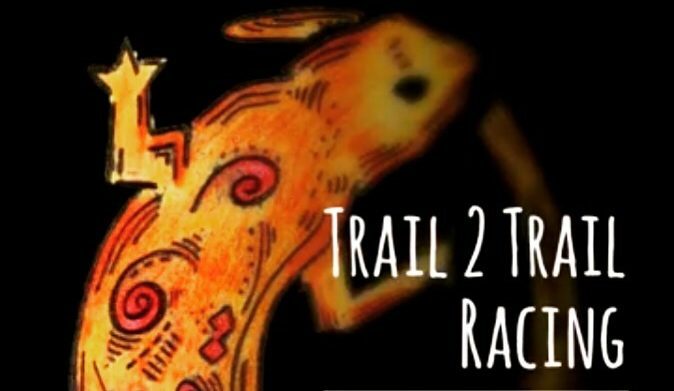 Being trail runner, what can you do to be more prepared besides relying on weather.com before planning to run? Some storms do arrive as a surprise and sometimes not even shown on weather radars. 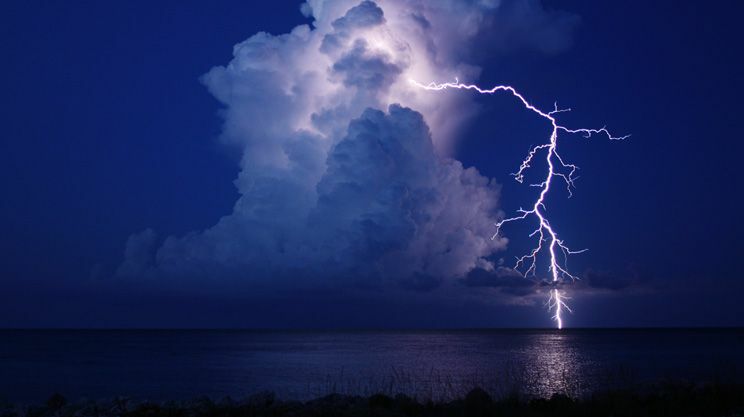 Understanding the myths and misconceptions of lightening is a start in understanding the science of a lightening storm in order to help you decide your best options (if any) if you happen to be stuck in a storm. A roman author noted that if you can hear thunder, you are safe; and persons who do not are more likely to be injured. If you see the flash and are not injured by the time you hear the stroke, your in good luck. It is the flash of the lightening causes the sound of the stroke. Those who do not hear the sound of the stroke, are most likely unconscious from the injury or already injured from the lightning and do not remember hearing the thunder (and most likely do not care at that point). Lightning, though, may travel nearly horizontal as far as 10 miles, and some strikes seem to occur “out of a clear blue sky” relative to where the person is located. That is why It is important to seek shelter once you hear thunder. Another misconception is that once the storm passes you are safe. This is untrue because lightning at the end of the storm is just as dangerous as the start of the storm. The “30-30 rule” is now recommended for lightning safety. If you see lightning and count fewer than 30 seconds before you hear the thunder, you are already in danger and should seek shelter. Activities should not not resumed for at least 30 minutes after the last lightening is seen and the last thunder is heard”. Calculate the distance: take the number of seconds between the “flash” and the “bang” and divide by 5 to find the number of miles. The cause of death from lightning injury is burns. Burns are a major component of lightning injuy. Nothing is left of a person after a lightning strike except a pile of ashes. Lightning victims have “entry” and “exit” points. Lightning victims have internal burns. One can predict the degree of lightning injury from the voltage, amperage, and polarity of a strike. Metal (on the body or not) attracts lightning. Lightning does not hit outside a rainstorm. It is safe to wait until the rain arrives to evacuate. It is safe to finish a game if lightning is nearby. After the rainstorm passes and rain stops falling, it is safe to resume activity. If you see blue sky, lightning danger is minimal. Lightning injuries cannot occur inside a building. Rubber tires (shoes, raincoats, sitting on a backpack) protect a person from lightning. Golf, picnic, and other electrical grounded shelters are safe. Grounding a building makes it safe from lightning damage. Lightning victims remained electrified and dangerous to touch. Lightning victims are easier to resuscitate that are other cardiac arrest victims. If there are no outward sign of lightning injury, the damage cannot be serious. Lightning survivors have few permanent problems. It is safe to seek shelter and dryness under a tree. Tall objects provide a 45-degree cone of protection. The majority of persons injured are golfers. Lightning always hits the highest object. The “pointier” an object, the more likely it will be hit. No place outside is safe near thunderstorms. It is better to be “proactive” rather than “reactive” with lightning injury avoidance. Outdoor sports have the fastest rising casualty rate. 1) open fields and elevated locations. The best shelter is a typical house or other fully enclosed and substantial constructed building with properly earthed plumbing and wiring. The second best shelter is a vehicle with solid metal roof and metal sides. Open picnic, bus, golf, and rain shelters, as well as tents and other camping cover, offer absolutely no protection from lightning. Having and following a lightening safety plan can decrease the number of lightning deaths and injuries. Once cannot make up for too many bad decisions by choosing between bad options when “caught” outside. The primary cause of death is cardiac and respiratory arrest at the time of the injury. After all the proactive options for safety have been ignored, the lightning “safety” crouch may be the only option, but probably makes little difference in risk. 90% of lightening victims survive, but often with disability. Lightning victims are safe to touch. Automated external defibrillators (AEDs) have been useful in some resuscitations. Cellular or portable phones offer complete protection from the electrical effects, although victims may suffer acoustic damage from static in the earpiece similar to having a firecracker going off next to the ear. Trail running does place us at risk. With smart phones, it is easy to follow the weather although some storms form during long runs that you end up unable to avoid. Understanding myths and facts is a start in helping you to avoid places that give you a false sense of security. Running back to your car is your best option. Running down from an elevated location, away from an open field and other places were lightning will most likely strike will help decrease your risk, but risk continues to exist so long as your on the trail during a storm. Stay safe.